Mini recently announced that the Mini Clubvan will go into production and the numerous types of engines used were also announced. The company plans to debut the production version of the car later this year and also plans to release it some time next year. But even before the general public gets to see the car, a controversy has arisen recently, concerning the Clubvan. A fifteen year old teenager from East Sussex, United Kingdom has claimed that he suggested the production of the Clubvan to Mini and he has the proof to back it up. 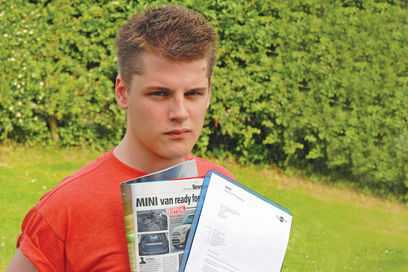 Back in 2009, Alexander Goldsmith (12 years old at that time) wrote a letter to Mini and suggested that they produce a van and he even named it the �Clubvan.� When Goldsmith found out that Mini had unveiled the production version of the Clubvan, he contacted Auto Express and informed them about the letter. Goldsmith not only has the letter to prove his claims but he also has Mini�s �enthusiastic� response. In the letter, the general manager�s PA mentioned that Goldsmith�s suggestion has been passed on to the company�s product department, who read the letter with great interest. The PA also added that they are not too sure whether the company would produce a Clubvan seeing as they already have the Clubman and it requires an awful lot of money to put a car into production. However, Mini went on to do exactly that. Goldsmith commented that he was proud of his part in creating the model. 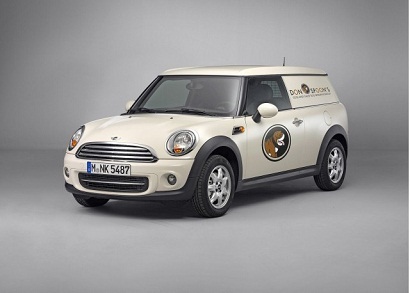 When Auto Express contacted Mini, its spokesperson mentioned that the Clubvan has been in the pipeline for several years and it was inspired by the classic Mini Van. However, the company felt that it is terrific to see such perceptive design foresight from kids such as Alex. Talented young people like him will help ensure a healthy future for the UK automotive design and manufacturing industry.